Claradell G. Kerns, age 91, of Urbana, and formerly of St. Paris, OH passed away at 11:55 p.m. on Saturday, January 12, 2019. Born on January 23, 1927 in Champaign Co., OH, Claradell was the only daughter of the late Paul Elwood and Mamie (Beck) Botkin. She married Ray D. Kerns on May 20, 1950 and he preceded her in death on April 22, 2005. She was a loving mother to three children: Cynthia Kerns of Houston, TX, Cheryl (Larry) Turner of Dayton, OH and Jim Kerns of St. Paris, OH. She is also survived by three grandchildren, many step grandchildren, great grandchildren and step great grandchildren. 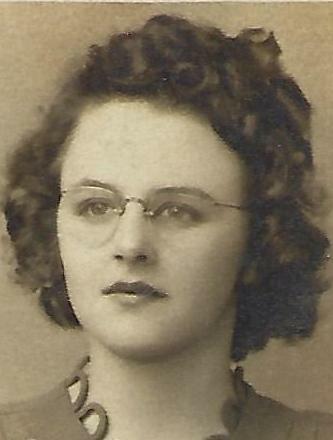 Claradell was a 1945 graduate of Christiansburg-Jackson school where she had perfect attendance. She was a member of the Newson Missionary Church, St. Paris. She drove a school bus for Springfield Local Schools, worked for Hook’s Dairy Crest of Springfield and was a nursing home cook. She volunteered as a 4-H advisor in Clark County for the Silver Spurs 4-H Club and was a member of the Champaign County Pork Council and Farm Bureau, and the Beech Grove Grange in Clark County. Funeral services will be held at 7:00 p.m. on Wednesday January 16, 2019 in the Atkins-Shively Funeral Home, 216 S. Springfield Street, Saint Paris, Ohio with Reverend Allen Sudmann presiding. There will be two hours of visitation prior to the funeral service beginning at 5:00 p.m. on Wednesday. Private graveside services will be held at the convenience of the family in Rose Hill Cemetery, Springfield, OH. Memorial donations in lieu of flowers may be made to the Champaign County Pork Council, c/o Mindy Lensman, President, 8751 Snapp Road, St. Paris, Ohio 43072 or the Champaign County 4-H Fund, C/O Champaign County OSU Extension Office, 1512 U.S. 68, Suite B100, Urbana, Ohio 43078. Condolences to the family may be sent to www.shivelyfuneralhomes.com. Champaign County Pork Council, C/O Mindy Lensman, Pres.